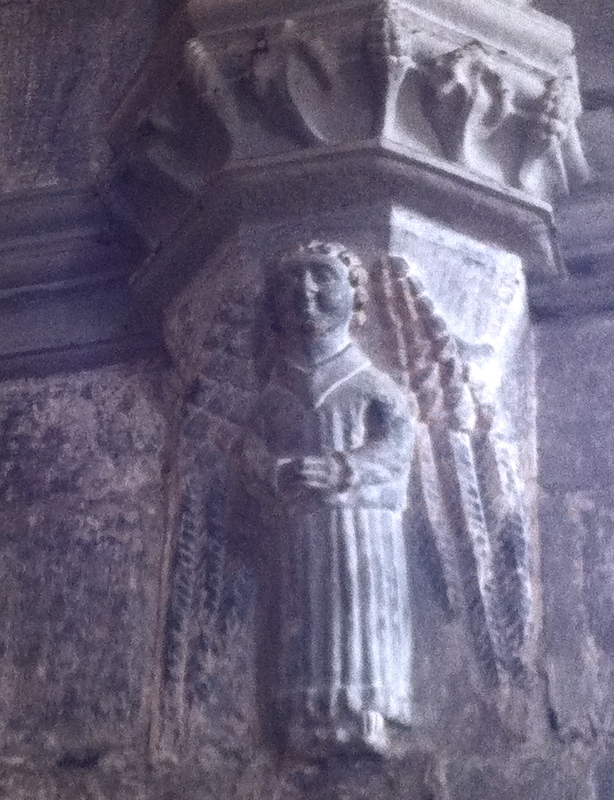 Following on from Saint Brendan in our previous post; another stone carving, from another church. 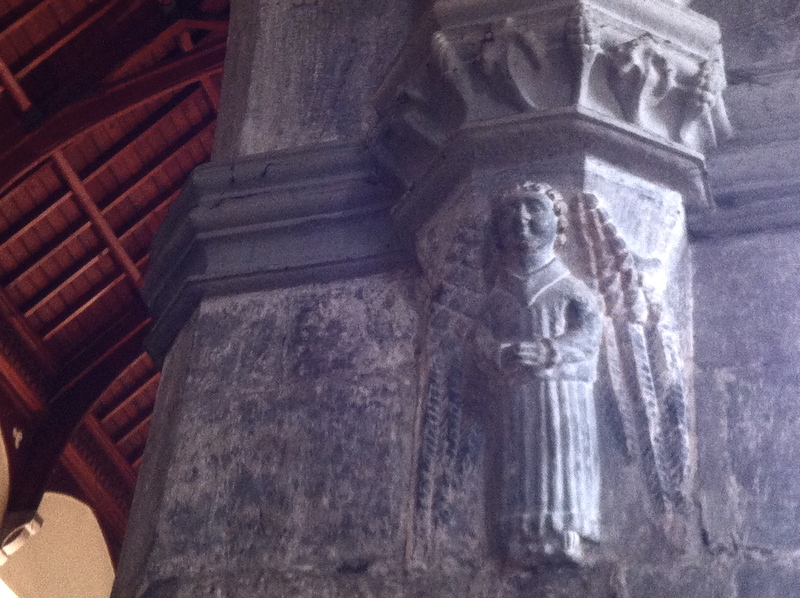 This time from the lovely and medieval St Nicholas of Myra church, right in the centre of Galway city. The name of this church is also significant. 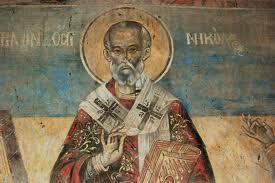 Saint Nicholas was a bishop from Asia Minor, (modern day Turkey). Because of his habit of giving gifts to the needy, he is of course the precursor, or the model for our modern Santa Claus. But for many centuries, Nicholas was also a very important saint for sailors. This made him a natural choice for a port city like Galway, a town dependent on sea trade, shipping and specifically on commerce with France and Spain. Old map of Galway. Even in this tiny reproduction, the grounds, pitched roof and spire of St. Nicholas can clearly be seen, in the lower/near left section of the old walled city. The church of Saint Nicholas was completed by 1320. One of its most famous visitors was Christopher Columbus, visiting Galway in 1477, some 15 years before his famous journey to the Americas. In the following century Galway’s famous 14 tribes were at the height of their power. Two of these families- the Lynch family and the ffench family- built a new side aisle, one each, attached to either side of the nave. This enlargement resulted in the unusual, almost square-shaped interior we see today, as well as the very great size of the church. 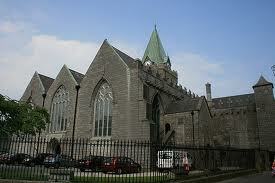 Indeed, St Nicholas is the largest medieval church in Ireland in continuous use. When I first came across it on a recent visit, I presumed it was the Church of Ireland’s Cathedral of Galway. It feels like a cathedral, and equals many, in atmosphere, history and grandeur. As we noted, Columbus worshipped here. Far less welcome visitors were the occupying troops of Oliver Cromwell and his troops, following their sucesful siege of Galway in 1652. 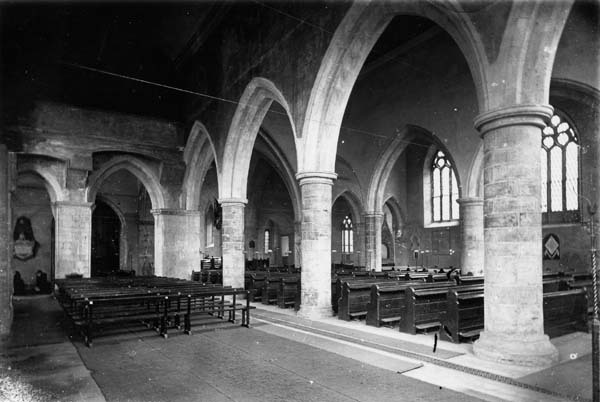 They stabled their horses in the church, broke the stained glass, and, as was their wont, destroyed nearly all the religious art and statutory in the church. Part of this destruction meant using hammers to smash the hands and the heads, off all the angels on the church’s stone columns. Well, nearly all the angels. As you see, this one, single angle did survive, presumably through simple oversight. Personally, I think he is entitled to be a little relieved and pleased. Long may he prosper! St Nicholas is also the chapel of the Connaught Rangers, a famous regiment of Irish who fought in the British army. 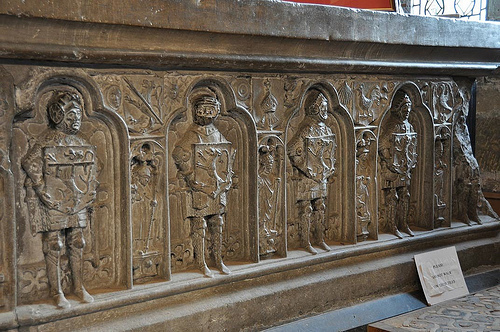 Look out for their old banners and memorials, from the many wars and campaigns they served in, scattered around the church. Another favourite detail of mine was a small, medieval stone carving, near the so-called (apparently mis-named) “Lepers Gallery”. This carving is small, and very easy to miss, as it runs along the top of an old stone doorway. I stupidly failed to get a decent picture, but if you ever visit, do try and find it. It shows a hound, in pursuit of a hare, chasing it over a bridge, the “bridge” being the lintel of the door. The hare and hound depict religious allegory I was unfamiliar with. They – the animals – allude, I’m told, to the soul’s transition to heaven after death. It’s just one other beautiful detail, one of many, from this very lovely and special old church. Previous Post St Brendan’s Cathedral & St Brendan Navigator.